A few photographs from the old farm next door to our place. 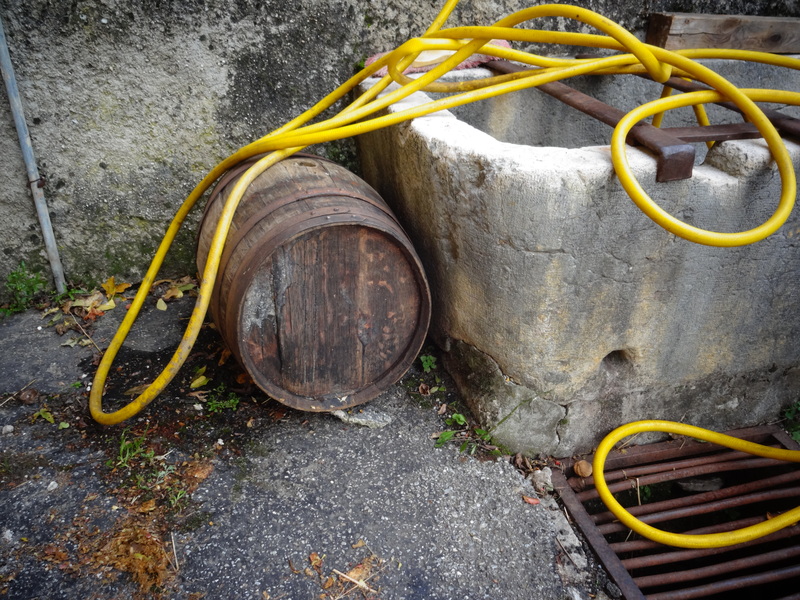 Autumn is always a busy time – the garden gets readied for winter, the wood gets stacked, and best of all, they’ve been pressing apple cider. We’ve been lucky to be on the receiving end, every year, of their fine product. 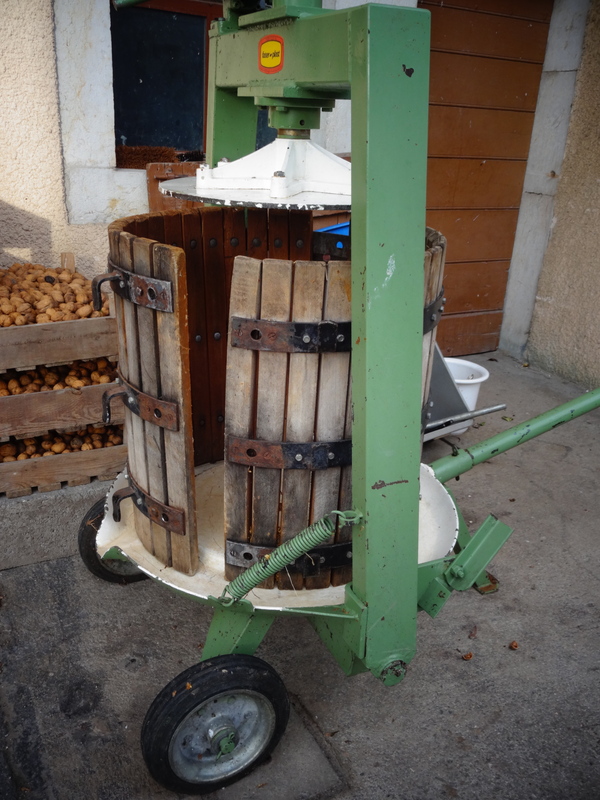 The apple press, clean and ready for a new day of work. This is the small press. The giant stone press, hardly ever used these days, is here. 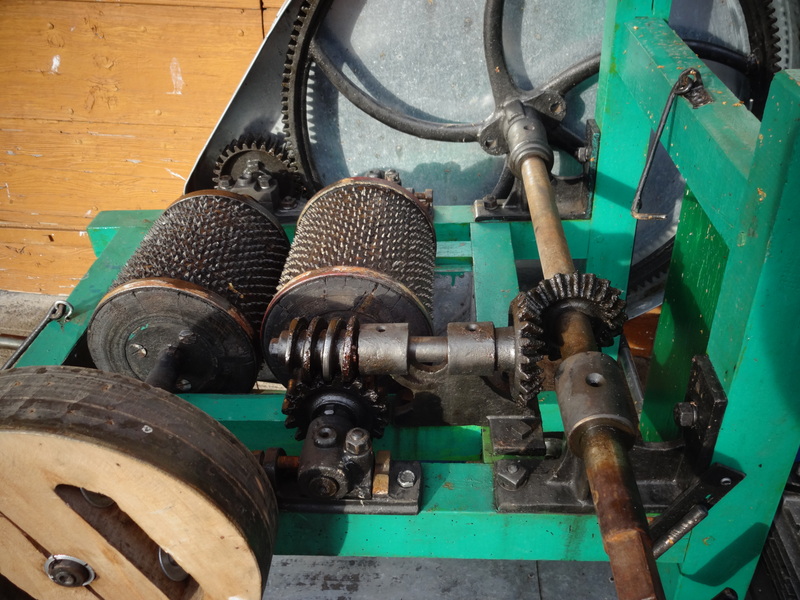 The inner workings of the apple masher. And the stone fountain where all the cleaning takes place. The whole courtyard is filled with the sweet scent of apples and the hay used to filter the juice. 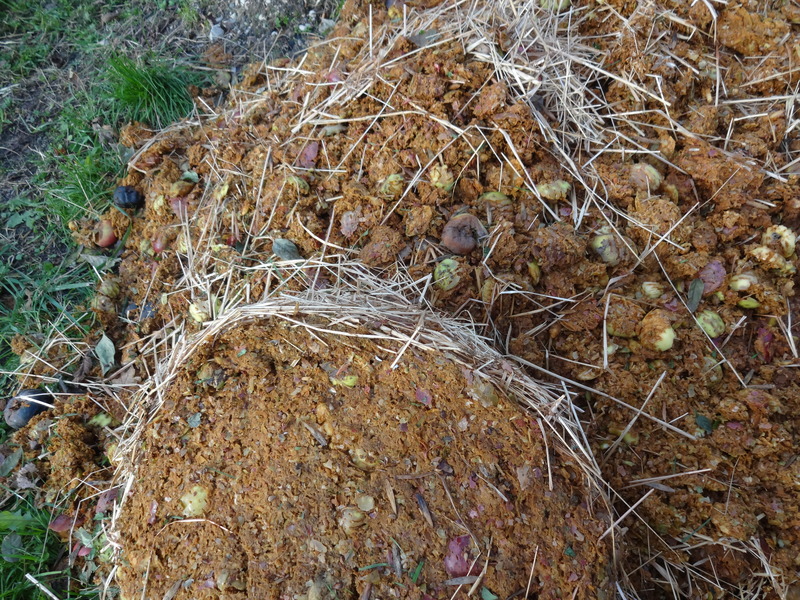 And out back by the compost, the remains of the press. 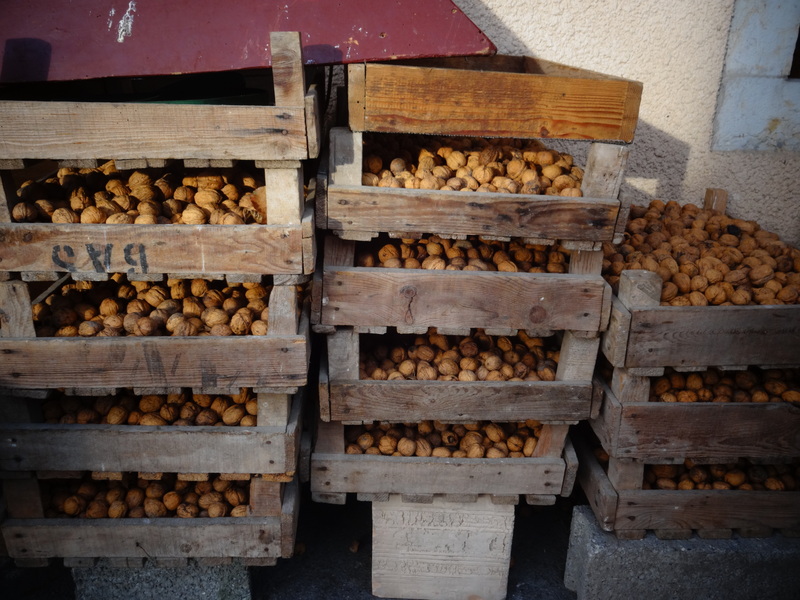 The walnuts have been out drying for a couple of weeks now. They’ll be cracked and pressed into walnut oil. 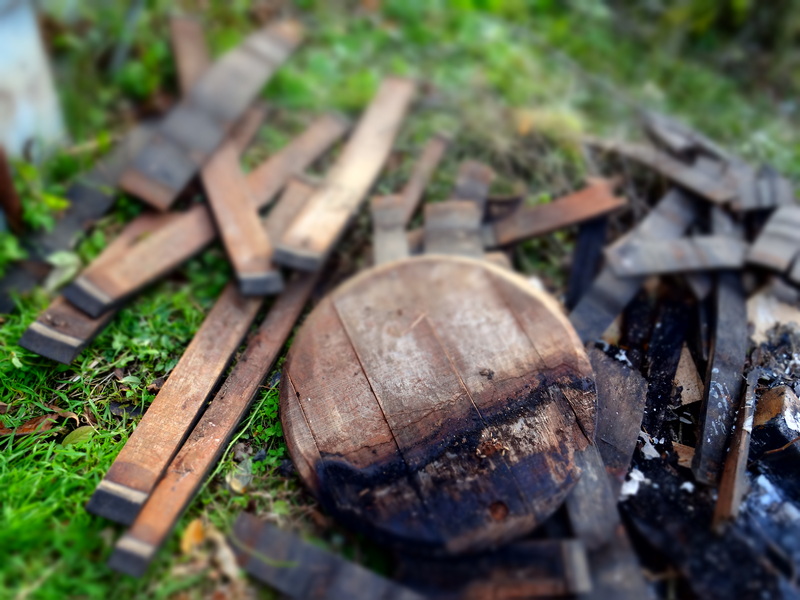 Old barrels meeting their end. 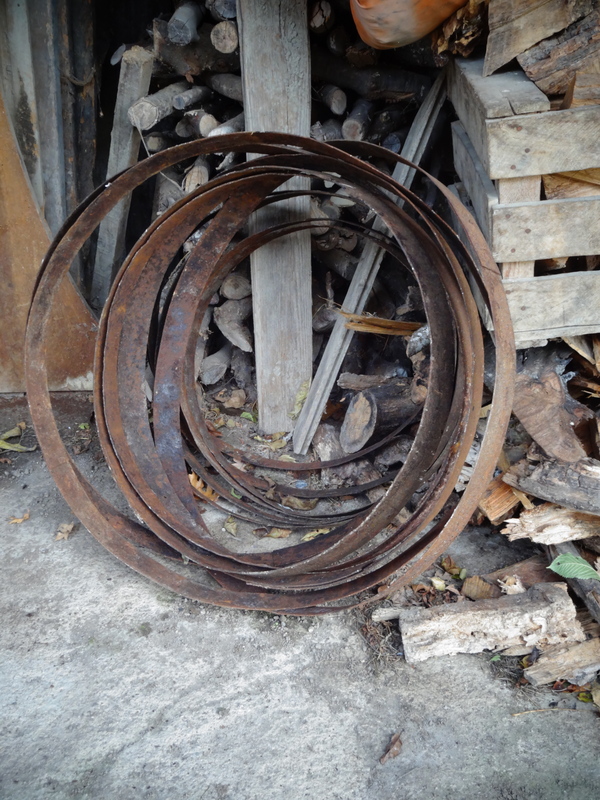 And the hoops that once bound them. The number of pumpkins has been steadily dwindling with every passing week as they get made into soups and stews. 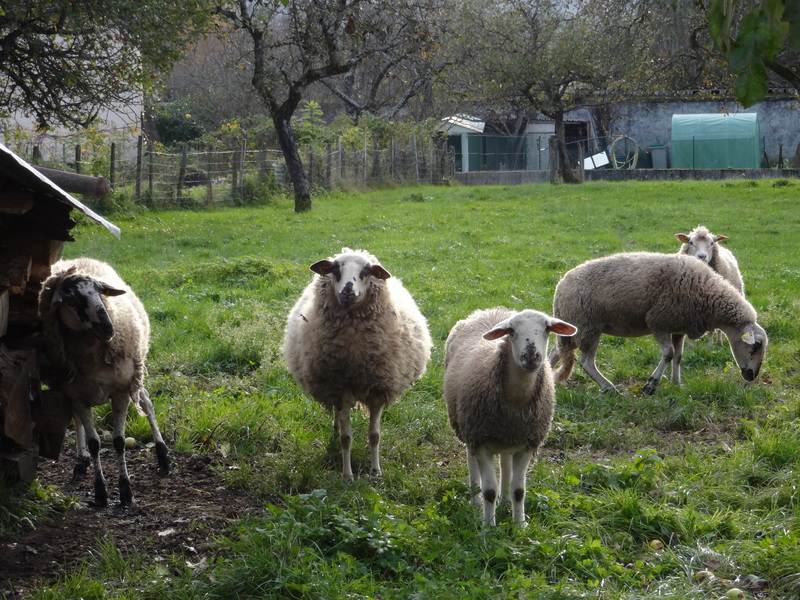 The sheep look ready for their winter quarters at another farm up the hill. They graze here from early spring until late fall or early winter. The people who run this farm are in their 70s, and I don’t imagine their children will be carrying on the old habits of this place, which has been a working farm in the family since the mid-1800s. I’m grateful for every season we get to live in proximity to this heritage.